In Hawai’i a number of camps housed enemy aliens, either temporarily or more permanently. 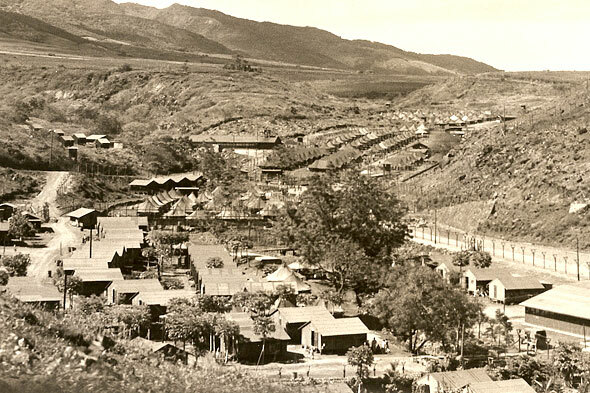 Kilauea Military Camp on the island of Hawai’i, Ha’iku on Maui, the Kalaheo Stockade on Kaua’i, Sand Island off the Honolulu coast, and Camp Honouliuli in the Waianae Mountains above Pearl Harbor, O’ahu were some of them. 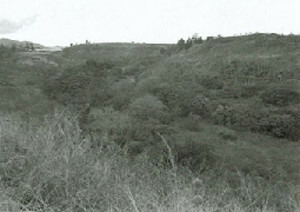 What remains of Camp Honouliuili today is hidden in the overgrowth.